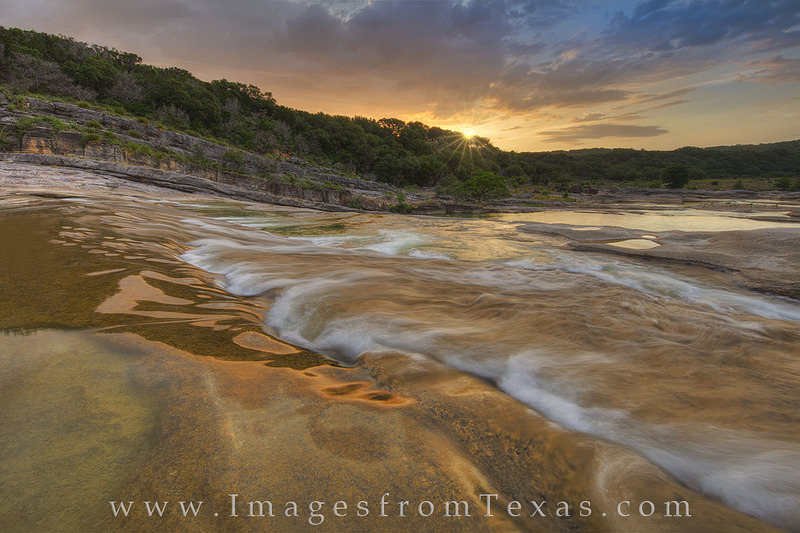 Sunlight peeks over a ridge along the Pedernales River, turning the water and limestone rock a warm shade of orange. Sunrises here are just about perfect when you want solitude and quiet. The Texas Hill Country is a beautiful area and I'm glad it is my home. Photo © copyright by Rob Greebon.